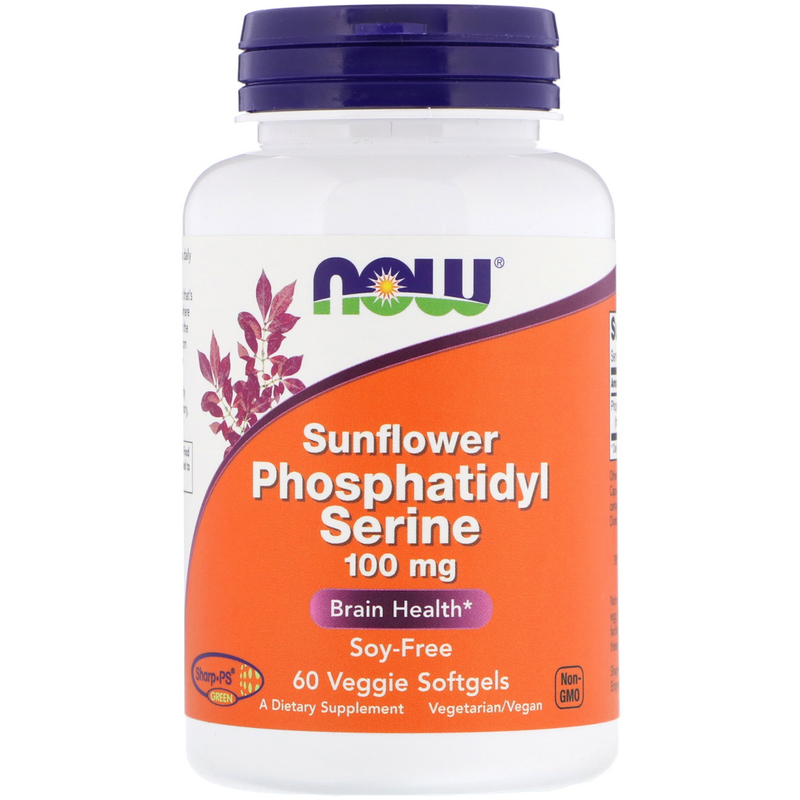 Phosphatidyl serine (PS) is a natural compound that’s an important component of cell membranes, where it plays an essential role in communication and the transfer of nutrients between cells. Derived from non-GMO sunflower lecithin, NOW Soy-Free Sunflower Phosphatidyl Serine supports brain health, nervous system function, and the activity of neurotransmitters involved in learning, memory, and mood. 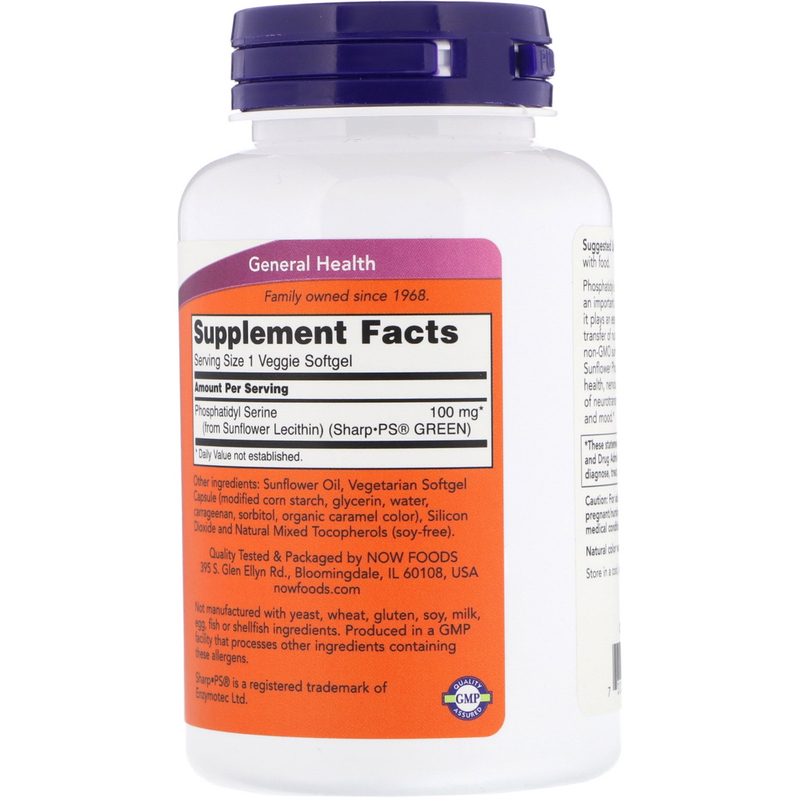 Sunflower oil, vegetarian softgel capsule (modified corn starch, glycerin, water, carrageenan, sorbitol, organic caramel color), silicon dioxide and natural mixed tocopherols (soy-free).